I received my B.S. degree in Natural Resources from the University of La Pampa (1997). After three years working as teaching assistant in statistics at this University, I received a fellowship from the National Research Council of Argentina (CONICET) and moved to Seville in 2001 to complete my PhD in Biology at the Doñana Biological Station. My thesis project assessed several aspects of the ecology and conservation of the Swainson's hawk in its non-breeding grounds in Argentina, including hunting behavior, spatial ecology and population connectivity between breeding and non-breeding grounds. 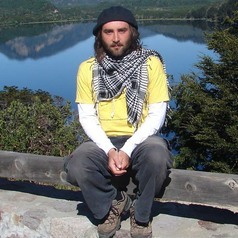 After I obtained my PhD degree at the University of Seville in 2006, I moved back to Argentina with an Adjunct Research position at the CONICET and the Center for the Study and Conservation of Raptors in Argentina (CECARA). I currently supervise several post-graduate students working on the ecology and conservation of Neotropical raptors.